Recover Your SD Card's Lost Password without Losing the Data in it. | Kanishk's Technical Blog. Recover Your SD Card's Lost Password without Losing the Data in it. Today,I'll discuss the Solution for the Problem which is faced by most people these days.The Problem most people face these days is Losing the Access Password to their Password Protected Micro SD and SD Cards. Many People think that formatting their SD Card is the only solution to get their SD Card back.But I'll give you all one solution with which you can easily get the password without losing your Data. Solutions are Simple and You just need Few Tools to do it. Follow the Below Steps to Successfully Find the Password to Your SD Card. 1. Go to the File Manager on your Mobile. 2. In Settings choose System Folders. 3. In the System Folder,find a File called "mmcstore". 4. Send the file to Your PC using IR/Bluetooth. 5. Open the File On your PC using Notepad. 6. The Password you need for your SD/Micro SD Card is located in that File. 1. 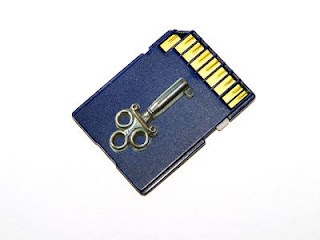 Insert Your SD/Micro SD Card into your Mobile Phone without accessing it through the Phone. 2. Run FExplorer and Open the path C:\system. Note : For those who don't have FExplorer they can download it for free from here. 3. Find the File called "mmcstore" and rename it to "mmcstore.txt"
4. Copy that file (mmcstore.txt) to your PC and open it with Notepad. 5. Your Password will be located in that File. Insert your Micro SD File into any Nokia E Series mobile like Nokia N95 and Format it.It will not ask for a password. For Any Doubts/Problems comments it below.